Ireland's Roman Catholic and Protestant Boy Scouts organisations merge after nearly a century of division, in spite of efforts by the Roman Catholic bishops to block the merger. Montréal/Dorval International Airport is renamed Montréal/Pierre Elliott Trudeau International Airport. MySpace had its official launch. A Boeing 737, Flight 604, flown by Egyptian charter company Flash Airlines headed for Cairo crashes into the Red Sea minutes after take-off from the holiday resort of Sharm el-Sheikh in Egypt. All 148 people on board are killed, of whom more than 120 were French tourists. Though both United Kingdom Prime Minister Tony Blair and Egyptian President Hosni Mubarak were in the area, neither were involved in the incident, contrary to initial reports. Casey Kasem hosts his final edition of the popular radio program American Top 40. The following week, American Idol host Ryan Seacrest officially took over hosting duties of the show. Casey continues to host two other radio programs, American Top 20 and American Top 10. Exploration of Mars: American Mars probe "Spirit" mission is successful and is sending back images. Spirit is alive after rolling to a stop on the surface of Mars; confirmed by NASA's Deep Space Network (9:00 p.m. PST). Mikhail Saakashvili becomes president-elect of Georgia, following the Presidential elections. He had been widely expected to win following the November 23, 2003 ousting of President Eduard Shevardnadze. Bolivian Gas War: In a televised speech, Bolivian President Carlos Mesa announces that a national referendum will be held on 28 March to resolve the issue of how Bolivia's large natural gas reserves will be exploited. Britney Spears abruptly marries a childhood friend, Jason Allen Alexander, in a Las Vegas, Nevada wedding chapel at 5:30 a.m.; by afternoon, the couple have arranged an annulment, which is expected to be made official when the courts reopen on Monday. A potential local root vulnerability  has been found in Linux 2.2, 2.4, and 2.6, and Linux Kernel developers have corrected the issue in 2.4 and 2.6; distributors are expected to offer the patches soon, for the benefit of those users who do not compile their own kernels. The man charged for the murder of Sweden's FM Anna Lindh on September 10, Mijailo Mijailović, through his defence lawyer requests an interrogation to give critical details on the stabbing. Seemingly Mijailović thereby confesses the assault. 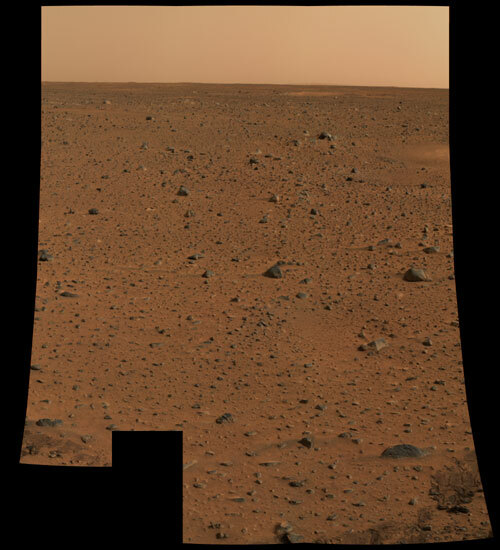 Exploration of Mars: The first color images have been released from the Spirit rover on Mars. They are the highest resolution images ever taken on the surface of another planet. It has also been announced by NASA that they plan to name the rover's landing site on Mars "Columbia Memorial Station" in honor of the crew of STS-107. Costas Simitis, the prime minister of Greece and president of the ruling PASOK, after informing the country's president Costis Stephanopoulos, announced his resignation. At the same time he announced national elections for March 7, 2004, when PASOK will have a new president, expected to be George Papandreou. PASOK will be challenged by the New Democracy opposition led by Kostas Karamanlis. See , , ,  (Greek) and , , , ,  (English). Exploration of Mars: Mars Express failed to hear any signal from the Beagle 2 spacecraft during its first pass over the landing site. This is major blow, but scientists have once again not given up all hope. They will attempt again tomorrow using a different communication mode. The Beagle 2 mission manager, Colin Pillinger, set February 7 as the day to abandon contact efforts. By that time Beagle 2 would have switched into an autotransmit mode after having not received any signal for over a month if it was still alive . The Queen Mary 2 is christened by Queen Elizabeth II. SCO v. IBM: SCO Group claims that it has "low-level talks" with Google about a possible license agreement related to Linux. American Idol host Ryan Seacrest officially takes over hosting duties of the popular radio program American Top 40. His predecessor, Casey Kasem, continues to host other similar programs. Exploration of Mars: NASA's Spirit rover now has its arm and all six of its wheels free, and only a single cable must be cut before it can turn and roll off its lander onto the soil of Mars. As that milestone is completed, scientists are taking opportunities to take extra pictures and gather other data. Israeli-Palestinian Conflict: Tom Hurndall, a British peace activist with the International Solidarity Movement, dies after being shot in the head by an Israeli soldier on April 11, 2003. The Israeli government say that they may consider bringing manslaughter charges against the soldier; the man's family claim that he should be tried for murder. J.P. Morgan Chase strikes a $58 billion merger deal to buy Bank One to create the second-largest bank in the United States. Reem El-Reyashi, a Palestinian suicide bomber, kills four border guards at the Erez Crossing. She is the first female suicide bomber used by Hamas. Four months before, Israel targeted Hamas leadership, including Ahmed Yassin, as a result Hamas halted all suicide bombing for four months. Jack Kelley, USA TODAY foreign correspondent and a finalist for a Pulitzer Prize just two years ago, was forced to resign after the newspaper determined he repeatedly misled editors during an internal investigation into stories he wrote. Among the stories that are being investigated is one published Sept. 4, 2001, contains an account of an attack on Palestinians by 13 Jewish settlers in the West Bank. Mark Memmott, the reporter asked to investigate Kelley, said he could not find anyone with first-hand knowledge of the attack. Greek electronic game ban: Greek police raid Internet cafés in Larissa. 80 computers are taken by the police as evidence and 3 Internet café owners are arrested. (in Greek). Noted author d.g.k. goldberg died after a long and hard-fought battle with brain tumors and lung cancer. The World Wide Web Consortium (W3C) announces the release of the Composite Capability/Preference Profiles (CC/PP 1.0). W3C's new standard profiling language CC/PP provides a standardized format of the description of information that will allow Web-enabled devices to effectively communicate their capabilities to the desired server and aids in delivering Web content to broad range of devices. On or around this date, the United States national debt passes US$7 trillion. George Papandreou of Greece promised that he will suggest to sign a mutual agreement with Turkey for lowering their defense military expenses. (Greek). Cargo ship "MS Rocknes" with a crew of 30 including the pilot capsizes near Bergen, Norway at 1630 local time (1530 UTC). Two people are reported dead and 24 still missing the morning after the accident. The ship was carrying a heavy load of rocks for use as shielding on top of a gas pipeline to Emden, Germany from the Norwegian Ormen Lange offshore gas field. "Snow White and The Madness of Truth" displayed at a Stockholm museum is again vandalized. A Russian-Jewish artist floats another image in the pool, that of Mijailo Mijailović, the murderer of Swedish foreign minister Anna Lindh. José María Aznar's government in Spain is dissolved prior to March general elections. He has said he will not run for a third term of office. .
Martha Stewart pleads not guilty to five criminal counts that include conspiracy, obstruction of justice and securities fraud stemming from a sale of ImClone stock in 2001. Conviction on any of the charges against her could put Ms. Stewart in federal prison. The five counts carry a total prison term of 30 years and a $1.25 million fine. Colonel Rashid Abu Shbak of the Palestinian Authority, said that information was still coming in and the investigating team had been upgraded, but he had no new leads on who was behind the bombing attack of an American diplomatic convoy on October 15, 2002. Three people died in the attack. U.S. officials have been stopped from going to Gaza since the attack. No decision has been made yet on when they might be allowed to return. Col. Shbak blamed Israel for the lack of progress in the investigation. The latest World Economic Forum event opens in Davos, Switzerland, with a keynote address by Iranian President Mohammad Khatami. Mars Exploration Rover Mission: MER-A Spirit rover stops transmitting meaningful data and has thought to have gone into safe mode. The cause of this is unknown but the rover is still able to send back a simple acknowledgement tone. Staff members of the United States Republican Party are accused of infiltrating Democratic Party computers and making copies of confidential files stored on the compromised computers. The infiltrations reportedly began in early 2002. Maher Arar sues the United States government for having deported him to Syria and not Canada, his country of citizenship. He was reportedly tortured in Syria. At least 51 people, including a bridegroom, were killed on Friday when a fire ripped through a makeshift wedding hall in the southern Indian state of Tamil Nadu during a marriage ceremony. An explosion has killed two people at Zhengzhou railway station, one of the People's Republic of China's biggest transport hubs. MER-B Opportunity successfully lands on Mars and continues communications through all stages. Golden Globe Awards: Major winners include The Lord of the Rings: The Return of the King, Lost in Translation and Angels in America. Hungarian footballer Miklos Fehér dies in a match between Benfica and Vitória Guimarães in Portugal. Benfica will subsequently retire his number 29 shirt. The People's Republic of China announces an outbreak of the deadly H5N1 strain of avian influenza in the autonomous region of Guangxi, becoming the 10th country in Asia to do so . There are suspected cases in Hunan and Hubei provinces  . U.S. presidential election, 2004: Senator John Kerry wins the New Hampshire primary. Howard Dean comes second. A new e-mail worm, Novarg/Mydoom, is spreading rapidly to thousands of machines running Microsoft Windows. It rapidly becomes the fastest-spreading e-mail worm to date. , , , ,  . Milan Babić, the former leader of the breakaway Republic of Serbian Krajina (now re-incorporated into Croatia), pleads guilty to crimes against humanity at the International Criminal Tribunal for the Former Yugoslavia. The discovery of a new form of matter, Fermionic condensate, has been announced. . The World Wide Web Consortium releases Document Object Model Level 3 Validation as a W3C Recommendation. San Jose, California mayor Ron Gonzales suffers a mild stroke while giving the State of the City address. The mayor is expected to make a full recovery. A report submitted today to the State of Maryland states that the electronic voting machines made by Diebold Election Systems "have such poor computer security and physical security that an election could be disrupted or even stolen by corrupt insiders or determined outsiders". The machines have been purchased by a number of states in the United States. This is the third report to state that the machines do not meet the security requirements of an election. Previous reports are available online: , . Self-confessed German cannibal Armin Meiwes is sentenced to 8 years and 6 months' imprisonment for manslaughter . The prosecution had sought a life sentence for murder. AirDisaster.Com News: Egyptian plane with 141 aboard reported crashed.